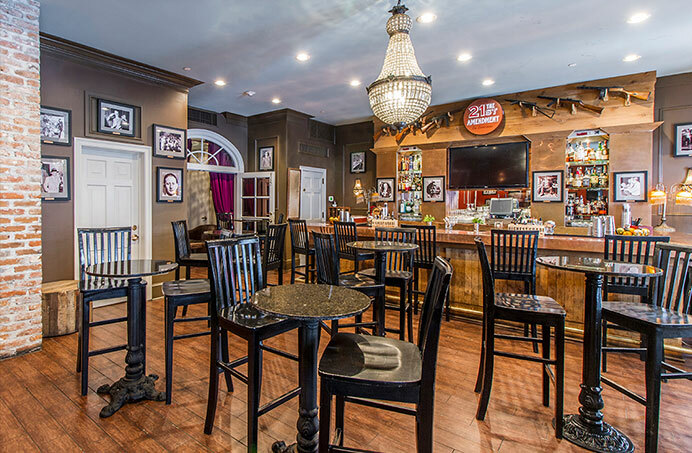 21st Amendment at La Louisiane pays tribute to the Prohibition era in U.S. history during the 1920s - an era where the mafia thrived and speakeasies proliferated through the trade of illegal alcohol. 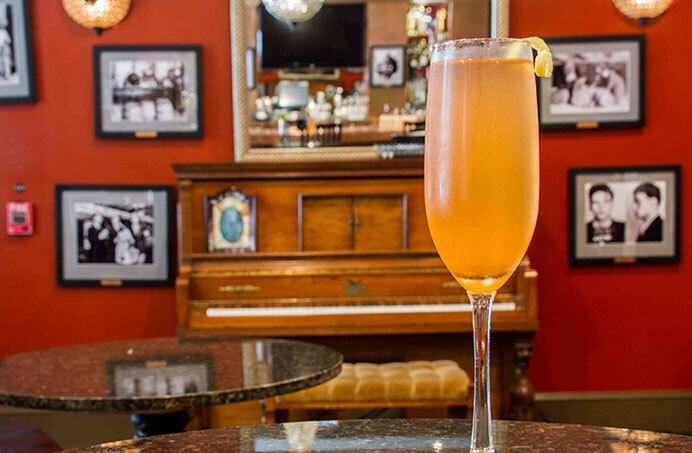 Step inside our French Quarter bar, enjoy a hand crafted cocktail from our unique menu and you'll be transported back in time, surrounded by images of the country's most infamous mobsters. 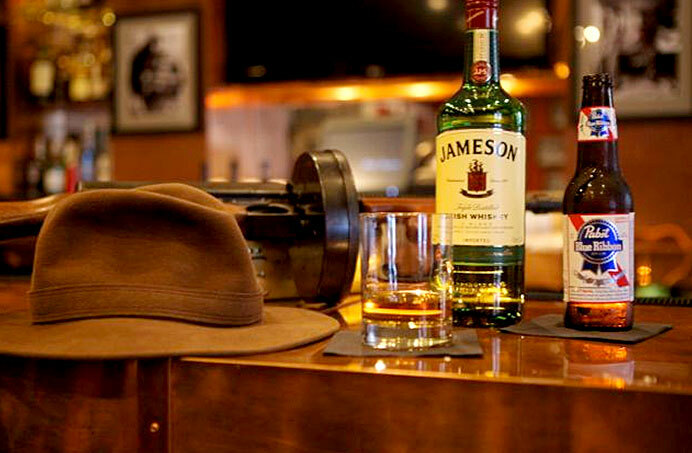 Our custom libations are created using homemade syrups, infused spirits and locally grown herbs. Franklin D. Roosevelt officially ratified the 21st Amendment on December 5, 1933 (referred to as Repeal Day) and repealed the 18th amendment that created Prohibition. 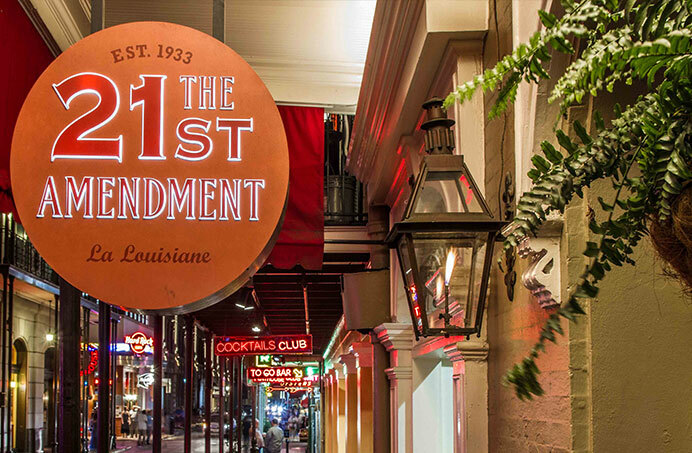 The, 21st Amendment at La Louisiane celebrates the resurgence of the cocktail in a building with a rich and colorful French Quarter history dating back to 1881. Originally opened as La Louisiane Hotel & Restaurant, La Louisiane continued operation as a restaurant through the 1990s. From the 1950's to 1980's, La Louisiane was owned by New Orleans most notorious mobsters, Diamond Jim Moran and Carlos Marcello.